Both history and age are factors of considerable significance in the world of fine whisky. We live in a fast-paced, globalised world, where ancient spirits like whisky have begun cropping up in the most unlikely corners of the planet (often with surprisingly pleasing results, such as those currently coming out of Taiwan and South Korea)… and as such, origins and historical clout have perhaps more pertinance than ever before. We all know that the history of Scotland is inexorably tied to the history of whisky – indeed, the very word ‘whisky’ comes from the ancient Scottish word for ‘water of life’. We also know that the first whiskies were produced in that wet, wild, and windy country at some point in the mid 15th century, when the art of distilling finally found its way out of the alchemist’s laboratory and into the hands of those seeking to produce something special to drink. However, which of Scotland’s dozens of still-working distilleries can claim to be the oldest? It’s actually harder than you might think to say for sure. While many Scotch distilleries claim a history which stretches back several hundred years, record-keeping in the 1700s (which is when most distilleries first sprang into action) was pretty poor, and lots of companies changed hands, changed locations, and were opened and closed and opened again with the infamously shifting laws which governed the land. Despite these complications, we’ve put in the hours and have done the research… and as such, we can almost definitively put together a top five oldest Scotch distilleries for your pleasure and perusal. Of course, it’s important to point out that the age of a company isn’t necessarily an indicator of its quality – it just means that the distillery has been open for a long, long time, and has had enough custom to keep it going. That being said, there are relatively few Scotch distilleries which aren’t consistently delivering the goods when it comes to flavour and character, and each and every one of the examples of this list definitely produces whisky with a real story to tell, and which offer plenty of fascinating notes to discover. Great Scotch is great Scotch, it seems, whether it’s the 1700s or the present day. Let’s check out the five oldest distilleries in Scotland still producing the good stuff for you to enjoy right now. Founded way back in 1795, Oban distillery is a west Highlands operation which packs in plenty of charm and Olde Worlde vibes. 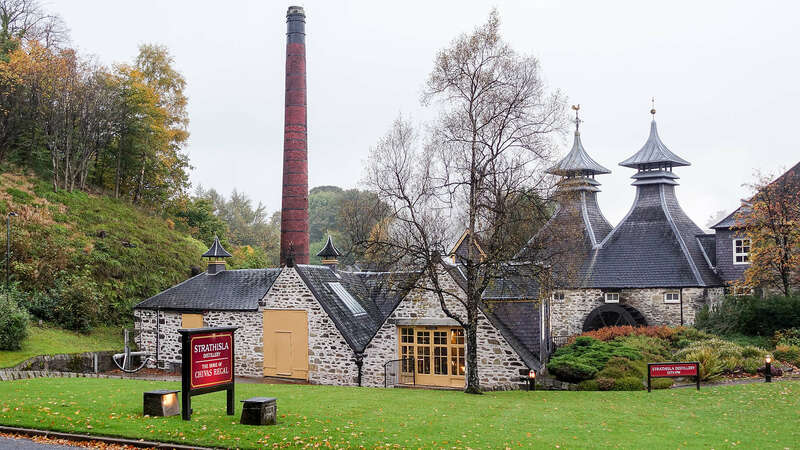 With its relatively petite stature and dark grey brick facade, the distillery – which still churns out thousands of bottles per year – certainly looks the part, and is actually the third smallest distillery in Scotland right now. Despite being small, Oban has a considerable reach worldwide, thanks to the fact that it is currently owned by drinks giant Diageo; a company which have helped the company reach new audiences seeking out truly authentic Scotch made according to traditional principles. Oban’s house style sits somewhere between a Highlands Scotch, and one more typically found in the Scottish islands. With access to beautifully clear mountain waters, and almost 225 years of expertise in every barrel, it’s a distillery with plenty of character which more than comes across in the glass. The 1790s was boom time for Scotch single malt and blended whiskies, as this decade saw certain levies and taxes temporarily lifted by English rule. As such, plenty of distilleries popped up during this time, although the majority later fell into ruin or simply found themselves outlawed by new laws and regulations. Balblair was founded in 1790 in the Highland region of Scotland, is housed in an impressive Georgian building with a towering chimney which can be seen for miles around. Balblair is notable for the fact that it is one of the few Scotch distilleries which always places a vintage year on every single bottle – a testament to the meticulous attention to detail which goes into the whiskies produced there, and to the producer’s forward-thinking belief that vintage years really do have an effect on the quality of the whisky within. The distillery actually fell into disrepair in the 1900s, and was closed for forty years before being revived in the mid 20th century. Interestingly, this distillery is also home to one of the oldest distilling archives in the world, with the first entries dating back to the year 1800. Beautiful, elegant, atmospheric and architecturally stunning, the Speyside distillery of Strathisla is a must-visit stop on any Speyside tasting tour. The mock-oriental pagodas of this building were constructed back in 1786, and the distillery has been in constant and continuous use since opening. If you aren’t familiar with the name Strathisla, don’t worry – you’re far from alone. Despite being popular with certain tour companies due to its beautiful situation and amazing appearance, this is probably the most obscure distillery on this list. However, if you’re a fan of blended Scotch whiskies, the chances are you’ve actually sipped this distillery’s output on several occasions; the whisky produced here is one of the key components of Chivas Regal, and can also be found in several other blends, too. The beautiful Islay region of Scotland is home to no shortage of stunning and characterful distilleries, each with a fascinating history and deeply interesting story to tell. The oldest of them all, however, is the striking and utterly beguiling distillery owned by the Bowmore brand, which was founded in 1779, and is still going strong to this very day. 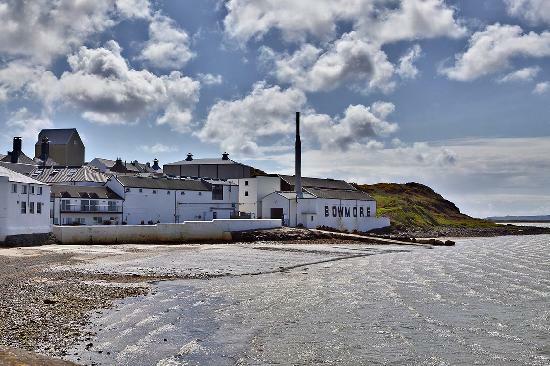 Perched on the misty shores of Loch Indaal, the whitewashed walls of Bowmore’s centre of operations have seen the history of Scotch whisky unfold for almost 250 years. The loch itself rises and falls each day with the changing of the Atlantic tides, and that fresh, salty, bracing air is certainly a key factor in the incredible flavour of the Scotch which is produced in this part of Islay. The Bowmore distillery is by far among the most visited in all of Scotland, and it isn’t difficult to see why: visitors to this beautiful location can discovery the ambient wonder that is the no.1 Vaults, supposedly the oldest whisky maturation vault in Scotland, and amongst the oldest found anywhere in the world. Given the astonishing age of this distillery, it comes as no surprise to find that one of the oldest ever whiskies sold at auction came from this brand: a bottle of Bowmore from the 1800s, which sold for $60,000 in 2007. In our number one spot sits the evocative and atmospheric Glenturret, a distillery which dates back to 1775, and which is among the most attractive found anywhere in the country. Situated in the heart of the Highland region, Glenturret is frequently visited by tourists, and is regarded to be one of the most picturesque spots for enjoying a dram during a tasting tour. Featuring elegant 18th century brick buildings, a whole host of antiquated and beautifully restored distilling equipment, and a small museum and tasting room which captures the real spirit of the Highlands, it’s a real treat to discover. Thanks to the dedicated team that now run the place, it really is a great place to get up close and personal with the long history of our favourite drink. 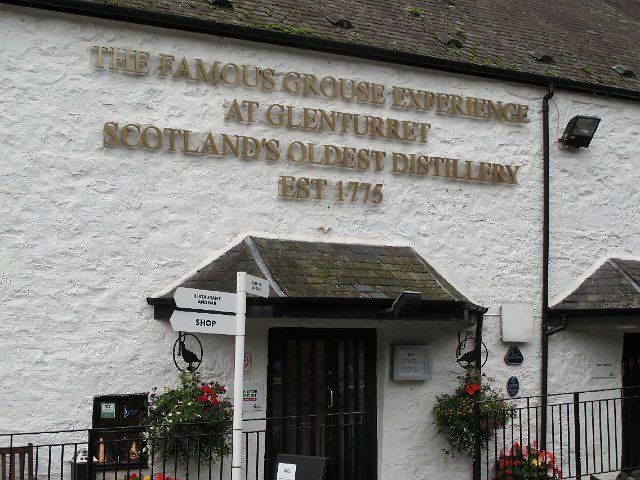 In 1990, Glenturret became the spiritual home of Famous Grouse, one of the most popular blended Scotch whiskies worldwide. However, prior to this, the distillery played an important role for over two centuries in the creation of several legendary blends, and was prized for its access to the incredible mineral waters of the river Turret which runs past the distillery door. There you have it – Scotland’s five oldest whisky distilleries, each still in operation, and each producing the characterful and flavourful spirit we know and love. While none of these are the oldest continually operating distilleries in the world, they have played a key role in the whisky industry as we know it today, and have been key in forming the identity of a whole country as a result. Slàinte!